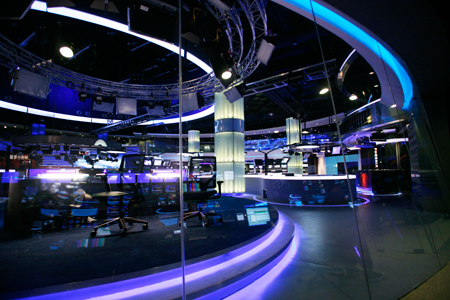 The headquarters of Phoenix Television, the Phoenix Global News Centre is a four-story building occupying a total area of 350,000 square feet with six modern studios. 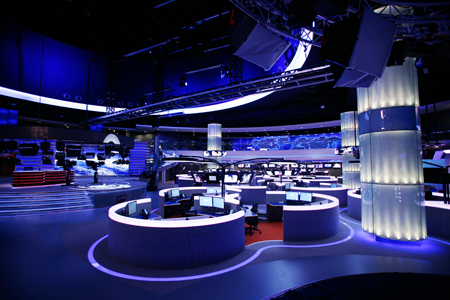 The largest studio in the Global News Centre is 20,000 square feet and has the first mobile camera in the world that can move horizontally and vertically within the studio as if it were flying, the newest broadcasting system, Asia’s most efficient transmission network, an international standard sound system, a sound mixing room and Asia’s newest 360 degree revolving anchor platforms. 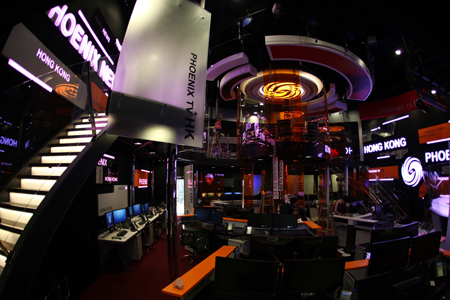 The Phoenix TV headquarters also house an exhibition chamber that records the history of Phoenix’s development, a photography department and a gift section. 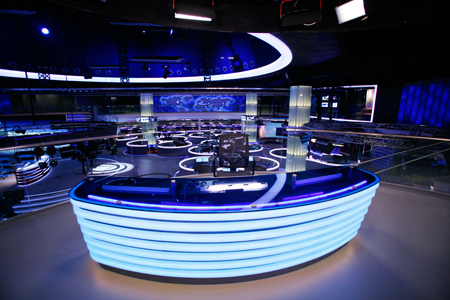 There is also a restaurant and coffee house that can accommodate 400 people. 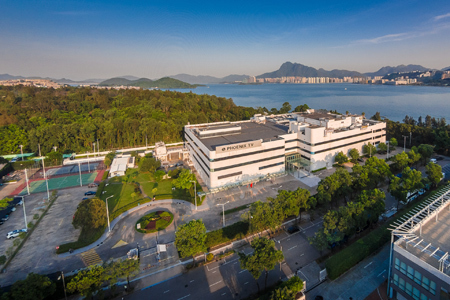 Beside that there is a cinema, and table tennis rooms, badminton courts, a basket ball court and a fitness room which employees use for physical exercise. 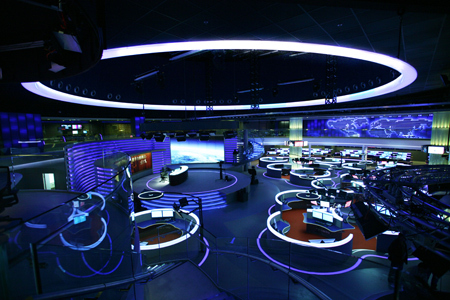 Six bed rooms of four star hotel standard are also built for night shift workers who need to rest while they are on duty. 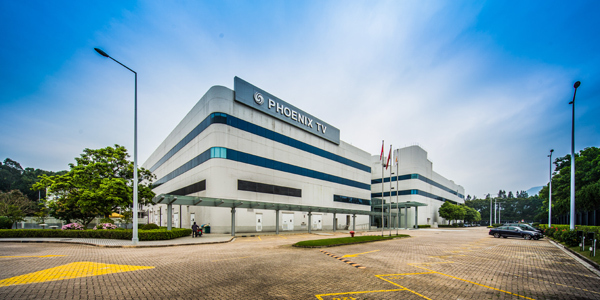 The Phoenix Headquarters is located in the Taipo Industrial Estate in the Hong Kong New Territories. 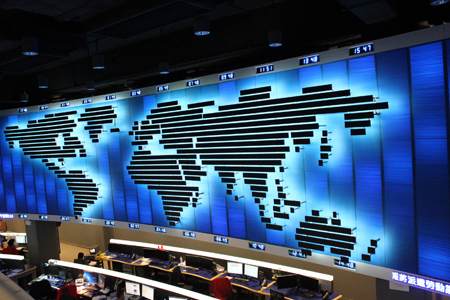 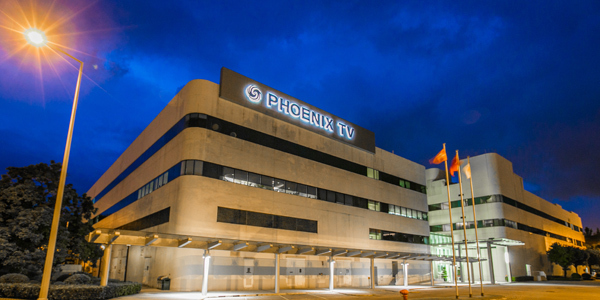 Phoenix’s neighbors in the Industrial Estate include the South China Morning Post, Asia Television, Asia-Pacific Satellite Corporation, the Oriental Daily, and AsiaSat. 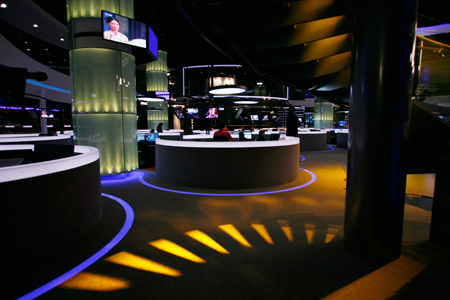 These represent some of Hong Kong’s leading media and communication companies, and together form a major component of the international informationand media community in Hong Kong.